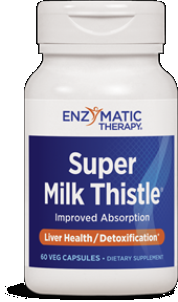 Enzymatic Therapy has discontinued this product. 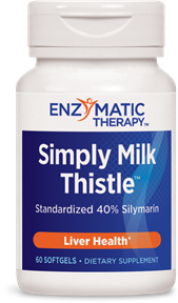 Simply Milk Thistle has silymarin which is the key component in milk thistle extract for supporting your liver, plus helping the gallbladder, intestiines, lymphatic system, and circulatory system, and detoxifying. 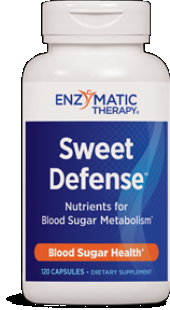 Suggested use: Two softgels three times daily. If pregnant, nursing or taking any medications, consult a healthcare professional before use.